Do you want to become a star? Do you have confidence in singing, and have basic video editing skills? Then this is your time to shine! Join Intel’s “Sing To Win” Contest and get a chance to win notebook computers powered by 2nd Generation Intel Core processors. 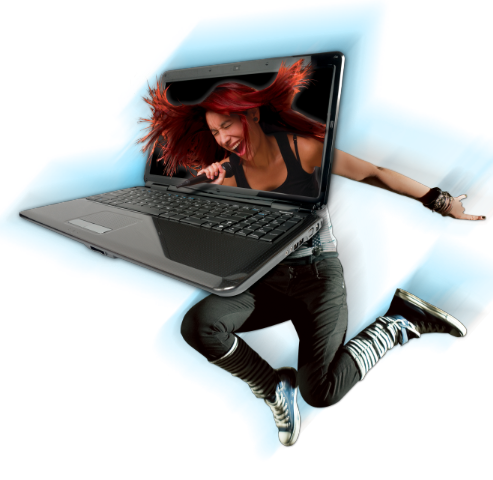 Intel’s “Sing to Win” Online Music Video-Making Contest started last August 8 and will end on December 1, 2011. Participants need to create an original music video using any of the 22-pre-selected OPM songs on the Intel Philippines Sing to Win Facebook page. Contestants are allowed to sing, dance, or perform accompaniment to their chosen song, and develop their films using any film style like flash animation, stop-motion filming, live action and a lot more. To join, participants must register for the contest and upload their videos to the Facebook page on or before December 1. They may submit entries as they like, but are only able to win once. Each music video entry must not exceed 5 minutes, and each participant should be the star of his/her own music video. Winners will be judged on creative merit and general appeal, as well as technical skill, song rendition and artistic impact. Judging of entries by members of the Intel team will commence on December 7 at the Intel Philippines office, with the awarding ceremony announcing the prize winner to follow on December 16. The 3 best entries will win notebook computers powered by 2nd Generation Intel Core processors and other goodies from Yamaha and Shure. As of this writing, the Intel “Sing To Win” Samsung leg is currently picking up potential contestants in their road and mall show in Baguio. Other Interactive Road shows are also currently going nationwide. These road shows are made possible by the participation of Lenovo, Acer, Samsung, Asus and Neo. Visit the Intel’s “Sing to Win” Facebook Page for more details. I am gonna participate without a second thought!! I’ve made videos but never a music video. Definitely would like to give this a chance, I have a few friends who are great singers. WOW! Thats a great news. I will participate in this excellent contest for sure! I wish I could take my talent to the next level. But there is a time still left, so may be I’ll try. I’ve made videos but never a music video. Definitely would like to give this a chance, I am not able to find any online music jobs. I am an aspiring music composer. I seek exposure. I wish to work. I have nil experience in film industry but willing to work towards it. Also I wish to do any composition job in music.. even without pay!! People please help me. we are the friends for Life music missionaries we have been serving God with our talent for 11 yrs. now we have no allowance by doing so and yet we chose to do it full time we sing infront of sick people, funerals, and we do regular church concerts in different places. it has been our dream to have our own laptop so that we use it for our ministry. it can assist our concerts by showing the lyrics in the lcd screen and also in playing our minus ones etc. u can view our video in youtube just type APPEAL VIDEO OF FRIENDS FOR LIFE. We hope you can be our sponsor in our laptop project. God Bless! I am an aspiring music composer. I seek exposure. I wish to work. I have nil experience in film industry but willing to work towards it.